Democrats in Congress Wednesday plan to introduce net neutrality legislation, House Speaker Nancy Pelosi announced this week. The text of the proposed “Save the Internet Act” isn't yet available, but the bill is expected to restore the Obama-era net neutrality rules, according to Tim Karr, senior director of strategy and communications at advocacy group Free Press. Those rules, passed in 2015, banned providers from blocking or throttling traffic and from charging higher fees for prioritized delivery. The rules also included a “general conduct” standard that broadly restricted providers from interfering with consumers' ability to reach website operators. The Obama-era FCC said the “general conduct” standard restricts broadband carriers from exempting their own video streams (or other content) from carriers exempt their own video streams from consumers' data plans. When the FCC passed the net neutrality rules, the agency also reclassified broadband as a “telecommunications” service, bringing it under Title II of the Communications Act. That move gave the FCC the legal authority to impose privacy rules on broadband carriers. In late 2017, the Republican-led FCC voted to repeal the Obama-era net neutrality order. That repeal -- which is being challenged in court -- took effect last year. 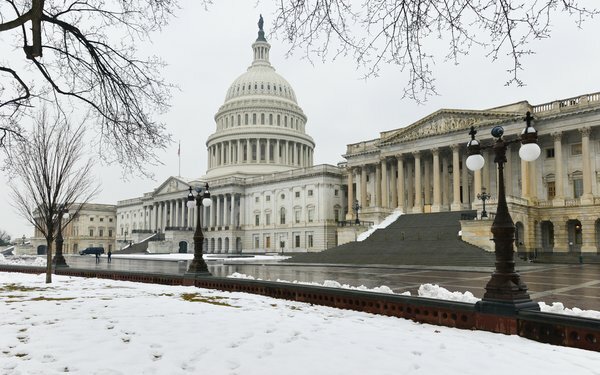 Last month, Republicans in the House unveiled three separate proposals to reinstate some -- but not all -- of the former rules. The GOP bills would prohibit blocking, throttling and paid prioritization, but wouldn't reclassify broadband access as a utility service.